Mrs. L joins IHB for her first post-wedding contribution!! This newlywed has been busy wrapping up a wedding, planning more events and crossing finish lines. A big welcome to Michelle! 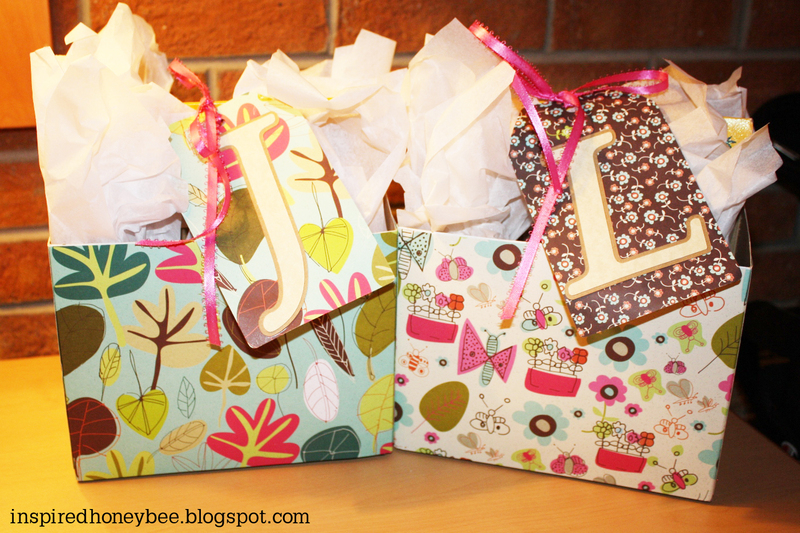 I love putting together gifts that are thoughtful and fun. 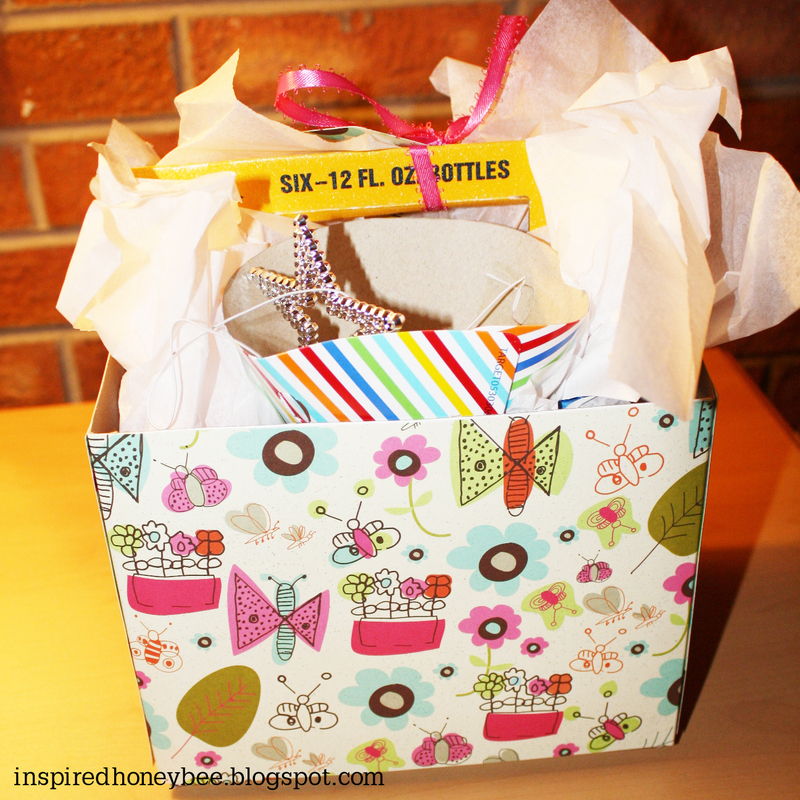 Lately I've used 6-pack containers to make gift packs. 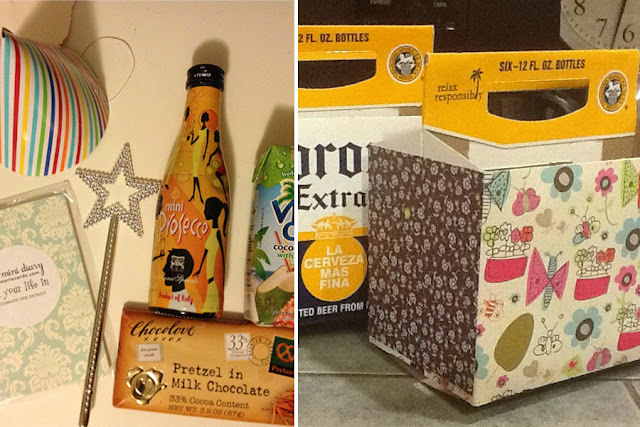 It started last Christmas with Rein-beers, carried on to our wedding out of town 'packs' and now I'm on to the birthday pack! This past weekend two of my closest friends celebrated their birthdays by running a half marathon. I got some items that could be enjoyed before and after the big race. Contents included: party hat, wand, mini Presseco, chocolate bar, coconut water and a mini diary. To spruce up the pack I used some patterned paper and spray adhesive glue (outside toy). I only wrapped the base of the pack, because once the items are placed in pack you can't see the handle. For a little extra fun, I did use Glitter Blast spray paint on the handle (also outside toy!). I then individually wrapped each item in white tissue paper and placed in the pack. I finished off with a coordinated gift tag, tied to the handle with a nice pink ribbon.